With its step-through design, this glute ham bench is a suitable tool for those who are aiming to tone their lower body muscles including hamstrings, glutes and lower back. 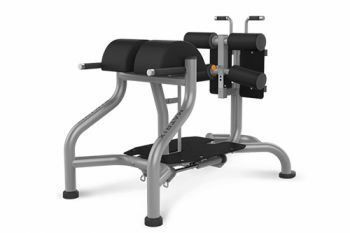 This bench allows you to adjust freely the gas-assisted leg pads and the oversized footplate while in exercise position. The glute ham bench also has handles and hooks so bands can be attached to add resistance while performing reverse hyperextensions.